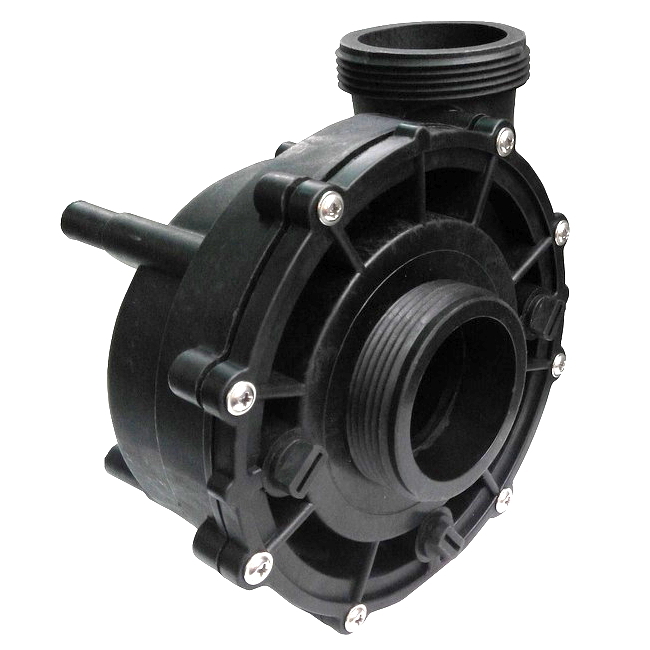 Complete replacement Chinese LX LP200 & WP200-II spa pump wet end with 2hp rated internal impeller and designed specifically for use with Hot Tubs and Spas. LX wet ends are unique to each model of LX spa pump so if you have a WP200 or LP200 pump this wet end this is the only replacement for it, order with confidence. Upgraded Seals! All our replacement Chinese LX pump wet ends have the latest upgraded ceramic Viton shaft seal kits installed so life expectancy of a complete pump is massively increased. This upgraded LP200 & WP200 LX pump wet end has been used by many hot tub brands over the years, American & Chinese spa manufacturers. Wet End Rotation - All pump wet ends can be installed onto pump motors in three positions, 12 O'clock, 3 O'clock or 9 O'clock easily so that they can attach to your spas plumbing unions. Side Discharge - This means the inlet (suction) and outlet (Discharge) are offset from one another. When you look directly at the face of the wet end you will see that the outlet is positioned off to one side in comparison to the inlet regardless if the wet end has been rotated. Fitment - Wet end is attached by four long bolts that run down the side of the motor, from the front to the back. These bolts can be unbolted at the rear of the LX pump motor. Frame Size - Chinese LX pumps do not go by the standard industry frame sizes so they are unique to each model. Manufacturer - LX Pump Co. It can be a bit confusing choosing your new pump wet end as brand names and models are not always written on them. The quickest way is to simply send us some images of the complete hot tub pump you need the replacement wet end for through our Contact us page and let us do the work for you.